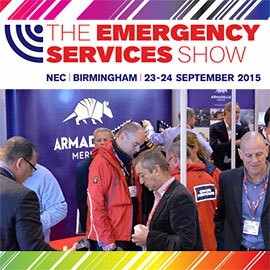 Once again the BCRC, along with other UK Search and Rescue organisations, had a stand at the 2015 Emergency Services Show in the NEC, Birmingham. 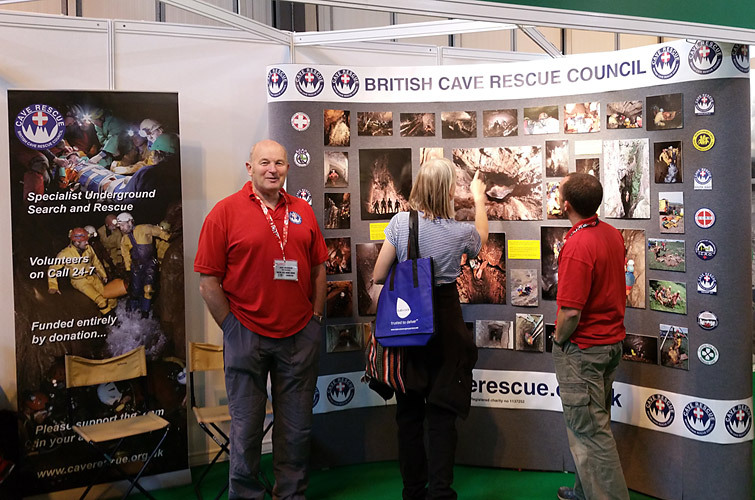 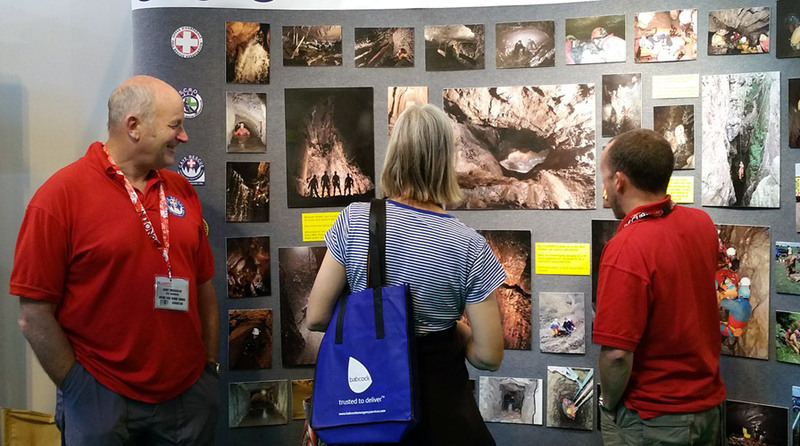 There were a lot of interested visitors calling at the stand and we were able to explain the role of Cave Rescue to colleagues in the bluelight services and other voluntary groups. 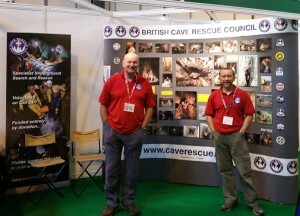 It also gave us a chance to view some of the latest kit on offer to rescue organisations – and very impressive it is too! 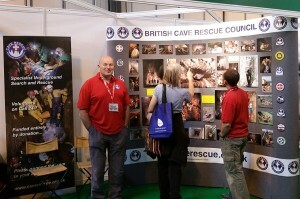 A visitor examines some of the display photographs on the BCRC stand.